You are here: Home / Crafts / Everything is AWESOME! If you and your family went to see The LEGO Movie then you probably walked out of the theatre exclaiming “Everything is AWESOME!” just like we did! 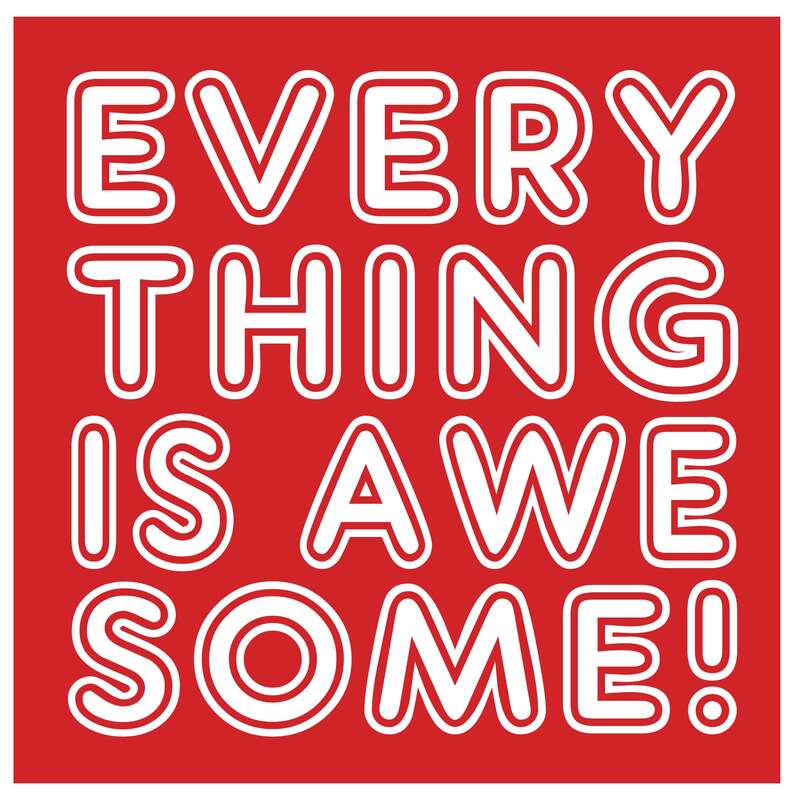 Even now, weeks later, you can periodically hear one of us shouting from another part of the house, “Everything is AWESOME!” particularly when things ARE NOT awesome. Our love for this new saying prompted me to create this printable. You can download it for your office, kid’s rooms, wherever you may need a little more AWESOME! Download your AWESOME pdf here!